For the past thirty years as a Landcare nurseryman I have helped many landholders with designing plantations and choosing plant species for revegetation projects. As a founding member of three 'Friends groups' I gained valuable experience working as a volunteer in local flora and fauna reserves for over 25 years. Also as a committed member of Australian Landcare since 1989 I have been guest speaker and author of many newsletter articles on native plants and ecology. 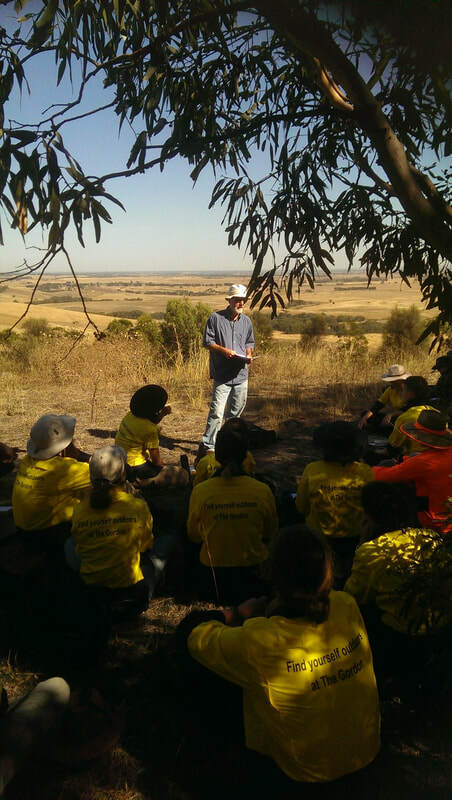 This combination of volunteering in reserves and consulting on farms has given my university training in Geology and Natural Resource Management a practical edge and important insights. I began to question the traditional approach to revegetation and in 1996 developed a new design system based on modern science, research and observations, called 'The Sustainability Index'. After ten years of putting this design system into practice on farms and with the support of Ballarat Region Treegrowers (BRT), an affiliate of Australian Forest Growers, in 2009 'Recreating the Country, a blueprint for the design of sustainable landscapes' was published. You can read reviews and a description of the book by clicking on the title above. In 2010 a 15ha 'biorich' demonstration site called ImLal, was planted at Lal Lal near Ballarat to demonstrate the advantages of this new design system. This demonstration site continues to develop and evolve through the hard work of many volunteer supporters from BRT and other Landcare groups.